Welcome to our wonderful collection of Valentine’s Day messages for him. On this Valentine’s Day, you have a great chance to show your man that he is the most important part of your life. As sweethearts, you know that ‘I love you’ is more than just words and this celebration is a lot more than just chocolates and teddy bears. You truly want to express all of the feelings you have in your heart but sometimes it can be so hard to come up with all of the words to tell the man in your life just how much he means to you. So go on and check out many cute and heartfelt Valentine’s Day messages for him and share your favorites with your husband or boyfriend. ♥ You are my one and only Valentine and I could not think of anyone better to spend it with. 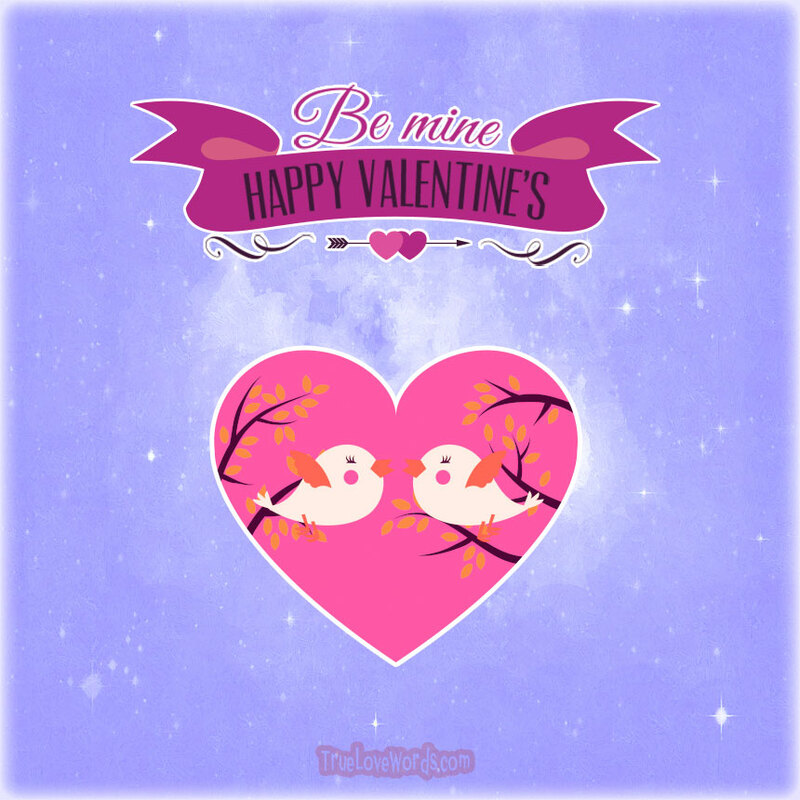 ♥ I want you to be mine today, on Valentine’s Day, but also tomorrow and forever. ♥ There is no Valentine’s Day card that can perfectly say just how much you mean to me. You are my sweetheart and I love you but that is only just the beginning of how you fill my heart. ♥ I want to celebrate Valentine’s Day with you by getting down and a little bit dirty. ♥ You are my bae, my one and only, my sweetie, my superhero, my knight in shining armor, and of course, my Valentine. ♥ The only wish I have on Valentine’s Day is to be with you and only you for this day and every Valentine’s Day from here until forever. ♥ You rejuvenate my heart and soul every single day and I love you with my heart in every single way but fortunately this Valentine’s Day, I don’t have to worry about another “single” day because I have found my keeper. ♥ You are the keeper of my heart and soul and I entrust you this Valentine’s Day to continue to hold it safely. ♥ I love you more than words can even describe and I have found the sweetest gift of love from you too. ♥ Happy Valentine’s Day to my tough manly man who still sometimes cries in sad movies. I love everything about you! ♥ When my heart thinks of you on this Valentine’s Day, I can’t think in just words or thoughts. It is more like my heart sings a tune like no other ever has heard. ♥ Though I am sorry that you have had failed relationships or heartaches, I am grateful for every single girl who could not see in you what I do. I am the luckiest of them all to have found my perfect match to celebrate Valentine’s Day with and every other day. ♥ When you asked where I wanted to go for Valentine’s Day, just know that I will follow you anywhere you want to take me. ♥ I would go anywhere and do anything because I don’t care. As long as I know, that I will always be going along with you. ♥ Sometimes I look for my carriage because I swear this love is a fairytale and you are definitely my Prince Charming! ♥ As long as there are waves washing upon the shore is as long as I will be yours. ♥ I will stand with you on a mountain or along the sea. Anywhere on Valentine’s Day where you are is where I want to be. ♥ It would not be a heart pounding Valentine’s Day without you. I love you, babe. ♥ Never doubt the love that I have for you today on Valentine’s Day and forever. ♥ I am lucky to have found my love, my Valentine, to have and hold for the rest of my life. ♥ Some people search far and wide for their soul mate. On Valentine’s Day, I am reminded of my luck that we crossed paths. ♥ Forever would be a long time without you and with you, it doesn’t seem like long enough. ♥ You hold the key to my heart and my heart is completely locked away because it is all yours. 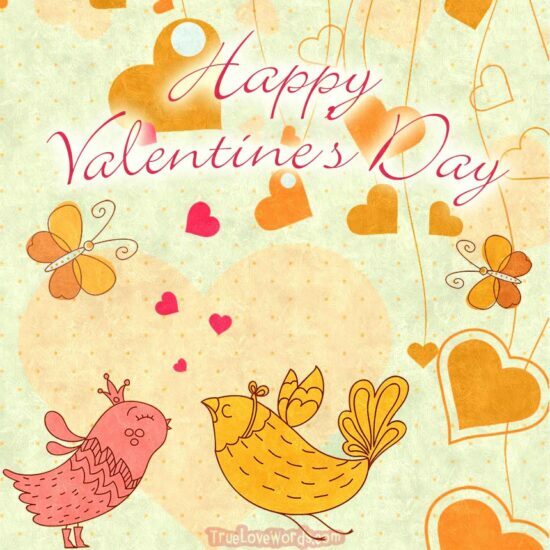 ♥ Valentine, you are the whole reason I celebrate this day and every other day is filled with love and joy too. ♥ I love you more than porcupines have needles and that seems to be a lot. 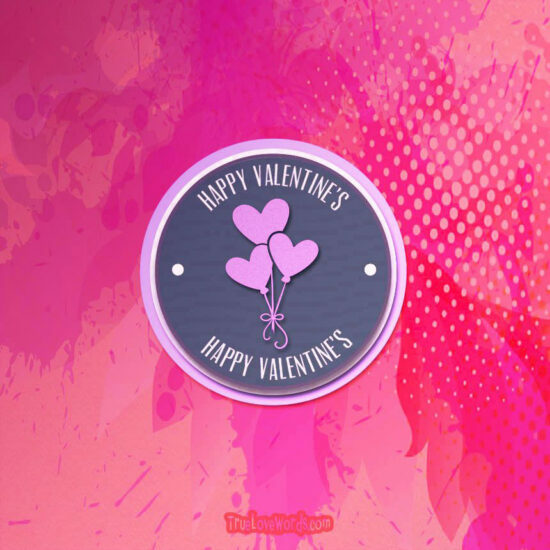 ♥ When I think about you, I am at my happiest and Valentine’s Day is just a reminder of the steps it took to find this love and as a reminder of what the future beholds. 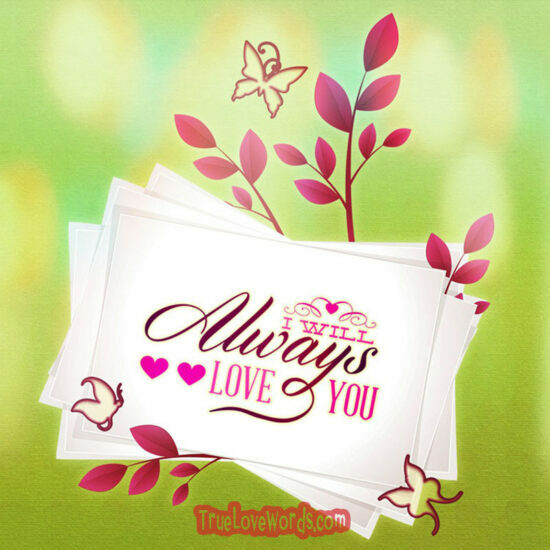 ♥ My past was empty without you and my now is today, Valentine’s Day, and I know that my future is full. It is full of love, excitement, and everything that means the world to me. ♥ To the sweetest man on earth, thank you for being you and showing me what true love means on Valentine’s Day and every other day of the year for many years to come. ♥ If I were to sit back and watch our love story on a movie screen, it would be certain that it would be my favorite movie ever. 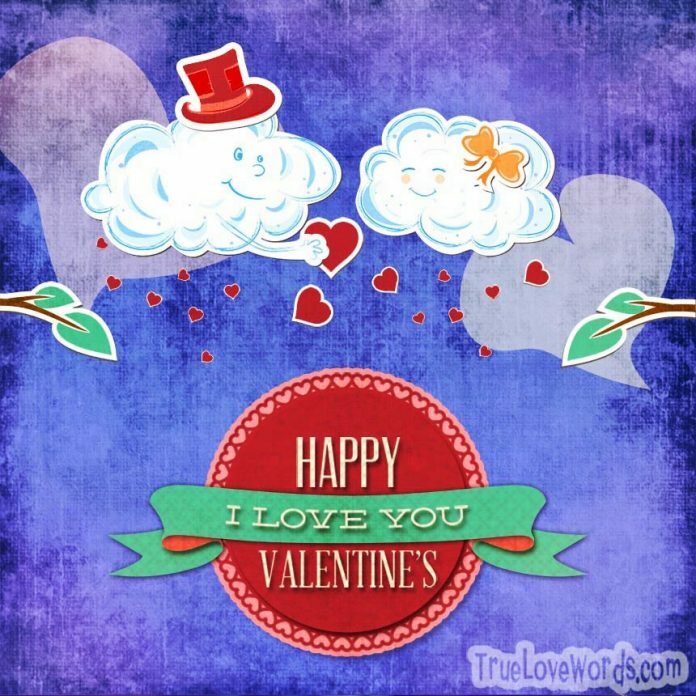 ♥ Great Valentine’s Day cards may have great Valentine’s messages but what you have really done to me is written the words of true love on my heart. ♥ Everything in life is just a little bit sweeter knowing that I get to share it with you. ♥ The best things in life are free and this Valentine’s Day, even a big bouquet of roses would be nothing if you were not here with me. ♥ I want you to teach me a little more about the birds and the bees this Valentine’s Day. I could use a little refresher course. ♥ If I had a dollar for every time you, my Valentine, took my breath away…I would be a millionaire. ♥ Happy Valentine’s Day to the apple of my eye and my stud muffin of a guy! ♥ For this Valentine’s, I want a mushroom and you, my dear, are a real fungi (fun guy). ♥ If love had wings, baby, you would carry me away, flying high beyond the sky. ♥ This Valentine’s Day, I want to be your Aphrodite and goddess of love. There is no myth about it. ♥ On Valentine’s Day, I am magnetized by your love. ♥ The way that you love me every day is mesmerizing and you inspire me to love with all of my soul on this Valentine’s Day. ♥ You are the beat to my heart and I am looking forward to spending the holiday of love with you! ♥ I had been single long enough that Valentine’s Day was just another day but today, it is now a reminder to show you just how much I love you and how much you mean to me. ♥ The only wish I have for Valentine’s Day is for you to hold me in your arms, kiss me, hug me, and love me until the stars stop shining. ♥ You know that you have found true love when two people are comfortable in silence and this Valentine’s Day, I’m okay with any time we are in silence because the words we do not say are often stronger than the ones we do. ♥ Happy Valentine’s Day from the lucky girl who loves loving you! ♥ I am reminded this Valentine’s Day that loves conquers all so I am pretty sure that makes us invincible. ♥ Roses are red, violets are blue, and on Valentine’s Day, I just want to make sweet love to you. ♥ Your love is like gravity and always pulling me in. ♥ If I were to make a thousand wishes this Valentine’s Day, every single one of them would include you. ♥ Honey, will you be my Valentine…next year? And the year after? And the year after that? ♥ In this journey of life, I am so happy that I get to spend another holiday with you and may it just be one of many special Valentine’s Days. ♥ I loved you yesterday and I am reminded to express it on Valentine’s Day but even in the future, I want you to know that you make my heart happy and my soul burns with desire for you. ♥ My sweet little lovey dovey nicknames might be kind of cheesy but at least today, I get to call you ‘My Valentine! ♥ You are someone I absolutely adore, am amazed by every day and will cherish forever. I love that I get to spend my Valentine’s Day with the man who makes my heart soar with freedom and filled with love. ♥ Valentine’s Day used to make me feel sad and lonely but with you in my life, it makes me want to shout from the rooftops how in love I am with the man of my dreams. ♥ You make me more content with life by providing me with the love that makes my heart sing and not just on Valentine’s Day but every single day. I love you, darling. ♥ I am so fortunate to call someone like you “My Valentine” because you are everything I have ever dreamed of in a boyfriend and more. ♥ Only you hold the key to my heart and on this Valentine’s Day I will remind you how much you light up my life and fill my heart with love.